Who wants to spend hours cleaning? There are, after all, more enjoyable ways to spend your time. But Kärcher pressure washers can even make cleaning fun. The high-quality, convenient and powerful devices can remove even the most stubborn and encrusted dirt within seconds – quickly, easily and effortlessly at the push of a button. And you don't even have to get your hands dirty. It couldn't be easier. Brilliant shine – faster than ever: The 3-in-1 car shampoo guarantees optimal cleaning and care of vehicles of all types. The active dirt remover removes stubborn oily and greasy dirt effortlessly. The quick-dry formula makes the tedious job of polishing vehicles easier. And the ultra gloss formulation gives the vehicle a perfect shine. The revolutionary power brush WB 150 is the first high-pressure cleaning brush! The power brush cleans all outdoor surfaces iquickly, efficiently and gently. Even sensitive surfaces such as car paint can be gently and effectively cleaned with the power brush. Products for car interior cleaning. Multi-purpose vacs are ideal for car interior cleaning. A comprehensive accessory kit for all cleaning tasks in the car, including vacuuming car boots, footwells, dashboard, seats, side pockets, foot mats, etc. makes car interior cleaning easy. Tip for cleaning foot mats: even dried-on dirt can be easily removed using a Kärcher suction brush with stiff bristles. Cleaning car seats with a Kärcher spray extraction cleaner. 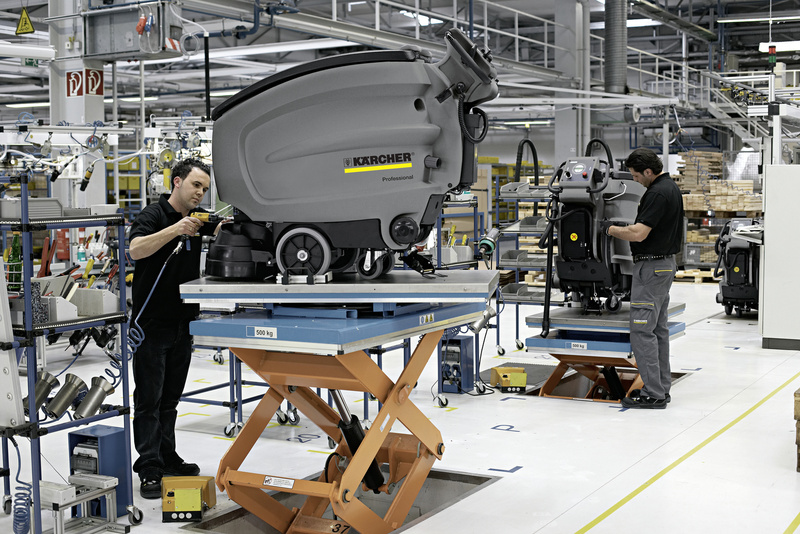 Kärcher spray extraction cleaners ensure thorough cleanliness on car seats deep into the fibres. The detergent is sprayed deep into the upholstery under pressure and extracted together with the dissolved dirt. Effectively removes grease, dirt and odours. For splash-free cleaning of sensitive surfaces. Accessory kit for all cleaning tasks inside the car.